Capitol Associates, Inc. (CAI) is a bipartisan government relations firm specializing in health policy. We serve a broad range of clients from many sectors of the health care industry. The foundation of our success is our understanding of Washington. It all starts with our clients. Because our clients best understand their particular challenges, our professionals work closely with you to Identify your goals and objectives and develop a strategy which will result in an action plan outlining what it will take to get results. The strength of Capitol Associates lies in our ability to effectively manage our clients relationships with the federal government, to make sure Washington works for them. The actions of our federal government affect everyone. The work of Congress, the federal agencies and the White House impact all organizations, big and small. From global corporations to community-based non-profit, dealing effectively with federal policy and policymakers is no longer a luxury - it's a necessity. Understanding the increasing importance of effective government and public relations in Washington, D.C. is what led the founders of Capitol Associates to start their firm in 1984. Their philosophy was simple: offer clients an unmatched level of service and make Washington work for them. Since 1984 Capitol Associates has worked hard to build a reputation of diligence, integrity and success on that simple philosophy. 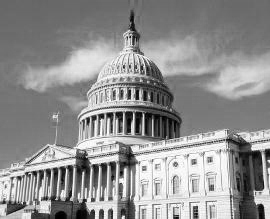 Since 1984, CAI has been offering premier Federal government relations services to our clients. We are extremely proud of the work we have done for our clients throughout these years.